Today’s question: Can dogs eat squash? There are many different types of squash, with the most popular being acorn, butternut and zucchini. One thing all squashes have in common is that they are delicious and healthy, at least for us humans. If you happen to like eating this fruit, then you might wonder whether it’s something your dog might like as well, but can dogs even eat squash? To answer your question, yes, dogs can eat squash. But when feeding this fruit to your dog, you do need to moderate the quantity. Feeding your dog a large amount of fruit or vegetables at once is never a good idea as it can cause problems in your dog’s digestive system and may lead to diarrhea. 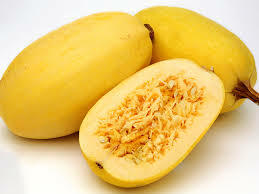 Also, it’s best to only give your dog cooked squash as it’s much easier for dogs to digest this fruit cooked than raw. Can Dogs Eat All Types of Squash? There are hundreds of different types of squash, and some types of squash are not edible. However, you can rest assured that the most common types of squash that are popular as human food are edible for dogs as well. The following common squash types are okay for both humans and dogs: acorn, ambercup, autumn cup, banana, butternut, buttercup, carnival, delicata, fairytale pumpkin, gold nugget, hubbard, kabocha, spaghetti, sweet dumpling, turban squash and zucchini. What about the Skin? Can Dogs Eat Squash Skin? Maybe you’ve heard that squash skin is edible as well, but you still prefer to stick to the fruit. So you think that it might be a good idea to feed the skin to your pup, so you don’t have to waste these parts. But can dogs eat squash skin? The answer is that it depends on the type of squash. 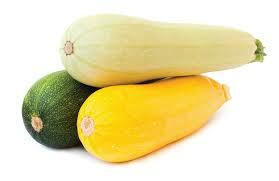 As there are so many different types of squash, they are classified into two groups: summer squash and winter squash. The main difference between the summer and winter squash is the thickness of the skin. While summer squash skin is thin, soft and often used as food; the skin of winter squash is usually not eaten as it’s simply too thick. So, to answer the question, it would be okay for dogs to eat the skin of summer squash, but not the skin of winter squash. Is Squash Good for Dogs? Yes, if your dog likes squash, then adding some squash to her diet might be a good idea. The nutrient content of different types of quash is slightly different, but most of them are great sources of Protein, Vitamin A, Thiamine, Niacin, Phosphorus and Copper. 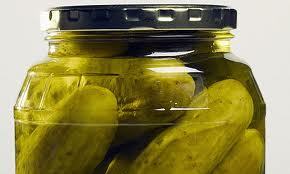 They also contain Dietary fiber, Vitamin C, Vitamin K, Riboflavin, Vitamin B6, Folate, Magnesium, Potassium and Manganese. Dogs, of course, don’t need to get Vitamin C from food as their bodies produce this vitamin themselves, but other nutrients these vegetables have to offer are still very beneficial to dogs. Vitamin A, for example, is imperative for your dog’s vision. Thiamine is absolutely necessary for carbohydrate metabolism. Niacin is also important for normal metabolism, but it also helps to keep your dog’s skin and fur healthy. Copper is needed for a dog’s body to absorb iron, but also for the formation of collagen. Dietary fiber is the best nutrient for your dog’s digestive system. In moderate amounts, dietary fiber keeps the digestive system running smooth. Too much of this nutrient, however, can result in diarrhea, because of that it’s important to moderate the amount of fruits and vegetables in your dog’s diet. Vitamin K is essential for you dog’s blood health. Without Vitamin K the body wouldn’t be able to produce blood clotting factors, which are important to prevent excessive bleeding in a case of an injury. Riboflavin is necessary for muscle development and hair growth in dogs. 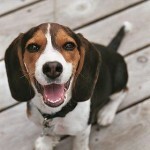 Vitamin B6 is also very important for your dog to be in good health. Without Vitamin B6 your dog’s body wouldn’t be able to properly utilize amino acids. Folate is needed for cell replication and growth, Folate deficiency in dogs can lead to megaloblastic anemia. Magnesium is required for a dog’s body to absorb and use many vitamins and minerals. Potassium helps to keep proper fluid balance throughout the body, but is also important for proper functioning of enzymes, muscles and nerves. Manganese also has many important functions in your dog’s body. It is important for the metabolism of proteins and carbohydrates, bu also for the proper functioning of many enzymes. According to the World’s Healthiest Foods, antioxidant and anti-inflammatory nutrients from squash also have anti-cancer benefits. To sum it up, the nutrients squash has to offer are very valuable to your dog’s health, so it’s definitely safe to say that this fruit is good for dogs. However, if your dog doesn’t like squash, then there’s no need to worry as your dog’s normal food most likely already contains all of the nutrients she needs. How to Feed Squash to Your Dog? As most dogs prefer cooked squash to raw squash it might be a good idea to add cooked squash to home made dog meals, but avoid feeding your dog raw squash. The reason why most dogs “prefer” cooked squash to raw squash is that it’s difficult for dog’s to digest raw vegetables and some fruits. Dogs simply lack the flat teeth, which are necessary for thoroughly chewing food, so they swallow their food in large chunks. However, it would be very difficult for a dog’s digestive system to properly digest large pieces of raw vegetables and some fruits like squash. Cooked squash, though, would be okay for your doggy. Cooking makes this fruit soft and a lot easier to digest. If you have a food processor, then pureeing the cooked fruit in a food processor to make it even easier to digest, would be a good idea as well. But keep in mind that dog’s don’t like a lot of salt, so use a minimal amount of salt when cooking squash or other fruits and veggies for your canine friend. A few tiny pieces of raw summer squash might also be okay for dogs, but never giver your dog raw winter squash. As already mentioned above, squash is a good source of dietary fiber. This means that it’s good for your dog’s digestive system, but only in moderation. 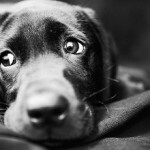 If you would feed your dog a large amount of dietary fiber rich food, then it’s likely to result in diarrhea. In fact, many dog owners have complained on various internet forums that their dogs got diarrhea from eating squash. It is recommended by many experts that the amount of fruits and vegetables you feed your dog should not make up more than 15 percent of her daily food intake. If you only give your dog a moderate amount of squash or other fruits and vegetables, then diarrhea should not be a problem. Although it is best to feed your dog cooked squash, it’s not a good idea to give your dog fried squash. Fried or deep-fried squash might be delicious, but it is far from healthy. Frying adds unnecessary calories and saturated fats to this otherwise healthy food. If you use the oven instead of the stove, then you can make delicious roasted squash slices without using any oil. In conclusion, while dogs can eat squash, it’s important to keep in mind that dogs can only have this fruit in moderation and that it’s best to cook the squash before sharing it with your dog. 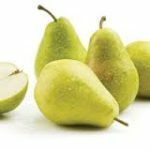 Does your dog like to eat this fruit? Does he or she have a favorite type of squash? Leave a comment below and let us know! “Fat Soluble Vitamins: A, D, E & K in dogs.” Veterinary & Aquatic Services Department, Drs. Foster & Smith. Pet Education. Web. 12 Oct. 2016. “Potassium Requirements in Dogs.” Veterinary & Aquatic Services Department, Drs. Foster & Smith. Pet Education. Web. 12 Oct. 2016. “Squash, summer” World’s Healthiest Foods. Web. 12 Oct. 2016. Can Dogs Eat Potato Chips?